Sentences- communication would be difficult without them! 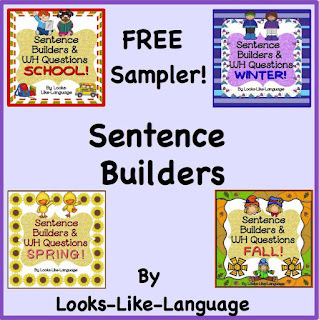 You can help your students produce sentences all year long using my picture sets. Try it out for free! Whether your students are just learning to read or have special needs that are aided by picture use, such as autism or delayed language skills, students will be able to form noun-verb-object sentences with this printable set! This download is great for homework, too! Catch this freebie at my store. Kind feedback is appreciated!